Yesterday I walked to the top of a multi-story car park round the corner from work to get some nice views of Manchester’s skyline. I wasn’t particularly inspired by anything but as I was on the 11th floor, I started looking down to see whether I could get an interesting or unusual view on something, rather than photographing a building. I decided this close up view from above of two bike seats might make an interesting photo. Just as well I took it anyway, as I was moved on by a security guard shortly after. I’ve added a bit of posterization and upped the contrast in post-processing. Today I had a drive over to Wakefield to look at a new car, so I took this photo at the showroom. 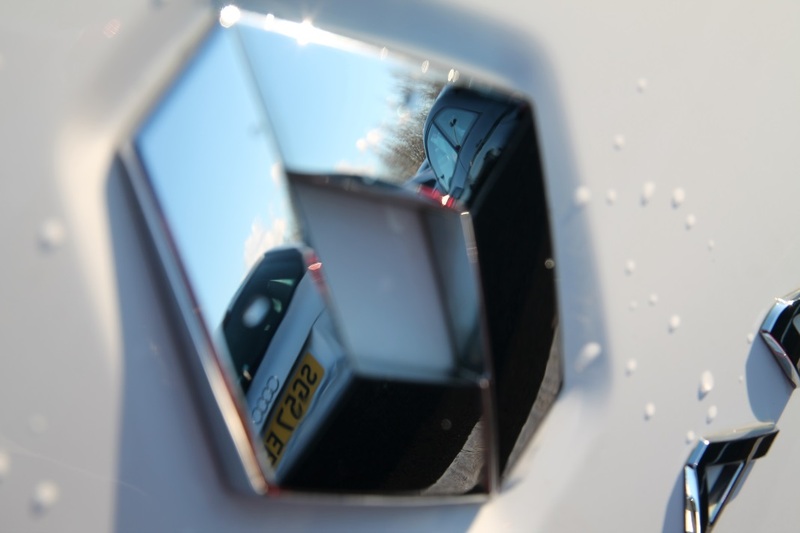 I decided to capture a reflection in the badge of this Renault – this isn’t the car I went to look at, but it caught the light and reflection well as I walked past it.